Pro Stock Engines: What's The Secret To Those Big Power Numbers? Pro Stock Engines: What’s The Secret To Those Big Power Numbers? While the sophisticated and highly secretive engine development in NHRA Pro Stock was clearly an evolutionary process over the past couple decades—engine builders scheming and clawing for three or four horsepower at a time—it’s fair to say that Ground Zero for many of the gains can be traced to a single modification that really has no immediate impact on building horsepower. It’s simply a dimension, a measurement, if you will. That watershed tactic is lowering the deck height of a cylinder block; that is, narrowing the distance from the centerline of the crankshaft to the surface of the cylinder-head deck. Erica Enders-Stevens and the Elite Motorsports team currently holds both ends of the Pro Stock record. Bigger usually is better in a Pro Stock engine—a mantra that the Mountain Motors took to extreme measures with displacements closing in on 1,000 cubic inches, or 16-plus liters. But even though NHRA Pro Stock V8 engines are limited to 500 cubic inches (8.19-liter), two 4-barrel carburetors and 4.900-inch bore centers, some of their numbers truly tease a gearhead’s mind. Compression ratio is between 15:1 and 16:1. Valve lift can exceed a staggering 1.2 inches. Open spring pressure is more than 1,500 pounds. The engines are approaching 12,000 rpm and making over 1,500 horsepower without a single pascal of boost—well, maybe a little more than just atmospheric pressure filling the cylinders at speed, but more on that later. One number that shrunk as these power gains were made was the deck height. Today’s Pro Stock engine block is nearly unrecognizable compared to the iconic OG motors of the ‘70s, so here’s a quick history lesson in what has become NHRA’s most complicated division in terms of internal combustion engineering. The current Pro Stock package traces its genesis to the factory big-block engines of the musclecar era and the popular Super Stock classes in the late ‘60s. In 1970, both the AHRA and NHRA launched a Pro Stock class featuring the most popular drivers and fastest cars. Teams ran the Chevy 427 Mk IV, Ford Boss 429 or 427 SOHC and the Chrysler 426 Hemi in lightweight ponycars and even compacts like the Chevy Vega and Ford Pinto. The trend soon shifted to small-block engines to take advantage of a tangled pounds-per-cubic-inch rules recipe that included weight breaks—reportedly often influenced by inside politics—for longer wheelbase cars like a 4-door Ford Maverick. In 1982, the NHRA settled on a single cookie-cutter formula of 500 cubic inches, 2,350-pound minimum weight and maximum 105-inch wheelbase. Bob Glidden and Ford had to revive the Boss 429 and did quite well, winning four championships in the ‘80s. But Glidden won fewer than 10 events in the ‘90s as the future belonged to GM and the purpose-built DRCE platform, which is short for Drag Race Competition Engine. The new DRCE4 block features allows for a Jesel cartridge-style method of securing the camshaft. 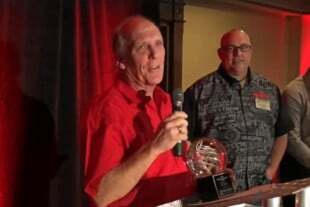 Aside from the 2012-13 championship runs from the highly talented Hemi drivers of Allen Johnson and Jeg Coughlin Jr., the DRCE engine has dominated the Pro Stock ranks since Glidden’s glory days. Pro Stock fans, of course, may bring up the questionable victories by one Mopar team in the ‘90s, but Pro Stock has been pretty much a GM playground over the years. This past year the 4th-generation DRCE4 cylinder block was released to racers, and the allowable deck height reflects the continued shrinking of that engine spec. Oil from the main galley to the lifters on the DRCE4 is controlled with a billet plate mounted in the rear of the block, similar to NASCAR designs. One dimension that stands out on the spec sheet is the deck height of 8.900 inches. “It’s more in line with where Pro Stock guys have gone in the last few years,” adds Allen. To put that in perspective, the traditional big-block Chevy, upon which the DRCE platform traces its heritage, has a deck height of 9.800 inches. A traditional small-block Chevy has a 9.025-inch deck height. The DRCE4 comes with a .700-inch deck thickness, so teams will whittle off another .200- to .300-inch to meet their needs. But the driving question remains: What first prompted this miniaturization of the cylinder block, and what’s motivating it today? “It was always about the intake manifold,” says Maskin. The DRCE4 has provisions for nine cam bearings and support cam cores up to 80mm. A large cam, such as this example from Comp Cams, improves torsional stiffness and allows for more aggressive lobe designs. It didn’t stop with manifold design and packaging the rotating assembly. Bringing down the deck height, combined with raising the cam location, allowed shorter, stronger pushrods. It also prompted cylinder-head porters to raise the intake-port roofs and stand the valves up, giving the airflow a straighter shot at the valve. 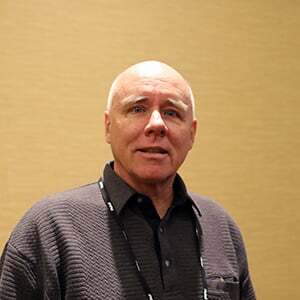 Six-time champion Warren Johnson has been perhaps the most prominent advisor in the development of the DRCE platform. “You couldn’t take [short deck height] away and have the engine you have today,” affirms Maskin. Maskin’s first short-deck engine was a custom Merlin block. The casting cores were modified to provide a deck thick enough to trim the height down around 9.100-inch. “All it said in the rule book is that you had to have approval from a car company and reason to run a part then,” remembers Maskin. 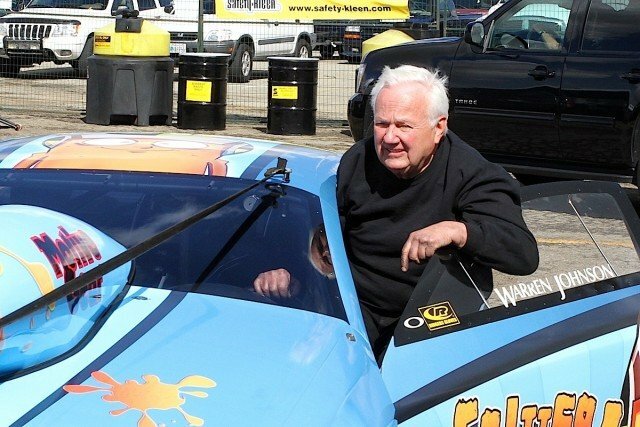 “Gary [Claudio] of Pontiac Racing wrote a letter, and I handed it to the tech guys. They put it on a wall in the tech trailer. The letter said it was for valvetrain development, because that was easy for them to understand. Here are views of the DRCE3 block. You’ll never see a current set of Pro Stock heads out in the open. We found these Ford mirror-image-port heads at PRI a couple years ago. They are representative of current technology with ample room for large ports, rather shallow valve angles and small combustion chambers. Cylinder-head specialists were driving this trend. They started raising the roof of the intake port to achieve a more direct pathway for the air-fuel mixture. With the purpose-built DRCE cylinder heads, they had the option of shaping the combustion chamber to their liking, but also positioning the valves at more desirable angles to optimize airflow into the cylinder. The traditional 26-degree intake and 17-degree exhaust valve angles—both with a 4-degree cant—in a big-block Chevy has morphed into the neighborhood of 9 to 11 degrees with an 8- or 9-degree cant in today’s Pro Stock cylinder head. That change, of course, didn’t come at once. But as the intake ports started getting higher, the cylinder heads had to grow taller, as well as the manifolds. About this time, another engine dynamic came into play that helped increase the rev potential: big-bore x short-stroke. The intake manifold would have grown as “wide as a house” if the deck heights had not shrunk over the years. A traditional BBC has bore centers of 4.840 inches. 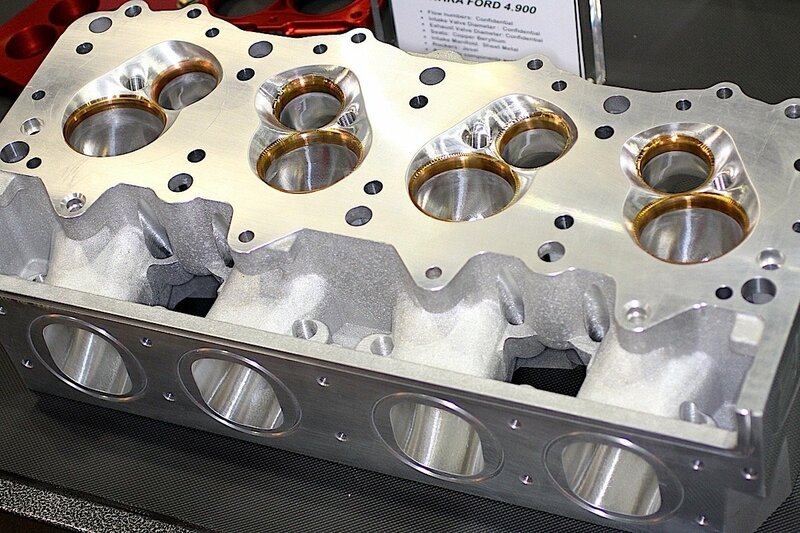 NHRA allows Pro Stock blocks to have 4.9-inch bore centers. As the structure of the blocks became stouter, engine builders consistently enlarged the bore as far as they dared so that bigger valves could be stuffed into the cylinder head. Early 500-inch Pro Stock engines using the old Bow Tie block had a bore around 4.600-inch. (For more on the first NHRA Pro Stock championship engine, check out this EngineLabs story.) Today, the smallest bore is 4.715-inch with some running as large as 4.750. That puts the crankshaft stroke as low as 3.520-inch. A 9.800-inch deck height would force the engine builder to use an exceptionally long connecting rod and a piston with a very tall compression height. Simply shaving the deck height doesn’t solve all the problems, however. At the turn of the century it was rare for a Pro Stock engine to rev over 9,600 rpm. No team will confirm their shift points today, but 11,000-plus rpm is never denied in private conversation. And increasing the rev factor in a naturally aspirated engine is how the builder converts torque into more horsepower. Peeling off the deck isn’t just a Pro Stock big-block trick. Those building big-bore, short-stroke small-blocks are also lowering the deck height. Duttweiler does admit there are challenges in lowering the decks. He built a 255ci engine with a 2.550-inch crankshaft and needed a 8.080-inch deck height. “Surfacing that block was something else because the bellhousing bolts were higher than the deck,” says Duttweiler, also noting that sometimes he has run into bolt holes for the water pump. When going to that short of a deck, engine builders have to work with the supplier to ensure adequate deck material not only for block rigidity but also to ensure there’s enough material to engage the fastener threads. A number of improvements helped facilitate higher revving engines, including valvetrain improvements; but in terms of airflow requirements, the runner lengths on the intake manifold had to be reduced to take advantage of the inertia dynamics that come into play. Longer runners are simply a restriction at higher RPM. Again, the goal was to get shorter runners without increasing the size of the plenum—which is sized according to the airflow demands of the engine’s displacement in naturally aspirated carburetor applications. Too small a plenum will starve an engine, and too large a plenum may interfere with the velocity of the charge into the cylinder. With shorter strokes and shorter deck heights, other short-block components were also downsized, and that brings us back to the rod length-to-stroke ratio in Pro Stock development. Ferri says that 15 years ago the cylinder heads weren’t good enough to support short rods, so longer rods were acceptable. But as technology increased to support larger bores and shorter strokes, the rod lengths could be adjusted to support more aggressive rod ratios. Rod length obviously affects piston design. NHRA mandates a minimum weight of 460 grams for each piston, along with 135 grams for the pin. Pro Stock engine builders avoid long skirts and a tall compression height, so much of piston design is focused on the support structure around the pin bosses. Engine builders are split between aluminum and steel on rod construction. NHRA mandates a 480-gram minimum, so it’s not a matter of weight. Steel offers durability while aluminum has a cushioning effect that some builders prefer. The big difference is what happens when an engine blows. “When you break a steel rod, you might be able to save the valve covers,” quips longtime Pro Stock racer Larry Morgan. Anchoring the rotating assembly is a custom steel billet crankshaft that has been lightened considerably to around 50 pounds, about 20 pounds lighter than a standard big-block crankshaft. Counterweight designs vary between engine builder preferences but most teams run 2.500-inch mains (409 size) and 1.888-inch rod journals (Honda size). Also, most Pro Stock cranks are center counterweighted. Ferri currently works with the DRCE2 block. Raw blocks are sent to Pro Motor Engines in North Carolina for some 40 hours of machine work to align the mains, size the cam bearings and locate the lifter bores. Ferri then performs another 40 hours of finishing work and cylinder honing. “The detail work is needed to get the rings to seal,” says Ferri. These GibTec Pro Stock pistons are three years old but offer a glimpse at the design factors needed for durability and low friction. Note the extensive support at the pin boss, narrow ring grooves and shallow skirts. Engine builders have options such as the number of gas ports and oil drain-back holes, depending on their needs. Ring packages are incredibly thin: as thin as .021 (and .110-inch wide) for the top two rings and 2mm oil rings. That helps keep the compression height down, avoiding a top-heavy piston that can rock in the cylinder. The ring package is also designed to work with tight clearances and the thinnest oil used in motorsports today, such as 0W2, as well as provide minimal resistance. 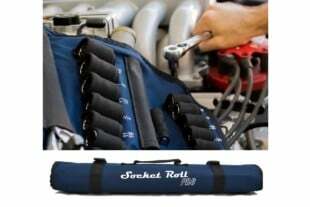 With all eight pistons installed (not including the front and rear seals that are extremely tight and robust to withstand the high crankcase vacuum), the twisting force to rotate the crankshaft on Pro Stock engines can be measured with an inch-pound torque wrench. A conventional BBC might take 25 to 35 foot-pounds of force to turn over the rotating assembly. Many components are custom made for Pro Stock engines; however, a few aftermarket manufacturers have part numbers that serve these engines. On the left are the new Jesel cartridge lifters and belt drive specifically for the DRCE4 block, and PAC offers a range of valve springs that will work in 500ci applications as well as Pro Mod and other Mountain Motor applications. Such thin rings require an absolutely perfect groove for stability. The most popular ring material is 440B stainless steel, although some builders prefer carbon steel. Compression rings are usually treated to titanium nitride coating. Honing is the most critical operation, not only for establishing the best cross-hatch pattern for sealing the rings but also for ensuring that the cylinder is perfectly round. Engine builders will use a profilometer to check the surface roughness along with an incometer to verify bore geometry. One question that often pops up when discussing Pro Stock engines is why teams never adapted aluminum cylinder blocks. The quick answer is that they don’t make the same power. The key to horsepower is keeping all the cylinder pressure inside the cylinder, so much of the sophistication in Pro Stock development has been in tighter clearances, reduced ring tension and superior ring seal. Some teams may use an incometer, such as this unit from PAT Gauge, to analyze the roundness of cylinder bores. This unit can produce a complete cylinder profile within one micron. “Stability of the cylinder, that’s where all the power comes from,” says Morgan. Iron blocks provide a more stable foundation to reduce bore distortion and crankshaft deflection than cast aluminum. A properly designed billet aluminum block would likely match an iron block in strength, but NHRA would never approve such a move. A number of advanced features found on race-only blocks are built into the DRCE4 block, such as an enclosed cam tunnel, a true racing oil system and compacted-graphite-iron construction. The block is cast at the same foundry in England where GM’s NASCAR blocks are made. Pro Stock teams are extremely protective of their setups and go to great lengths to keep the engine away from prying eyes. Here’s team owner Victor Cagnazzi keeping tabs on camera spies. The main oil galley is between the camshaft and crankshaft, and the oil circuitry to the lifters is controlled with a billet rear cover. 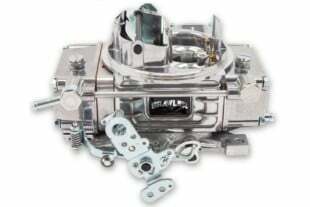 There is no traditional front cover bolt pattern as the cam is held in place with a Jesel cartridge-style cover that keeps oil off the belt drive. The block is designed to accept Jesel cartridge lifters (read what Dan Jesel has to say about these new lifters in this EngineLabs Tech5 column). A couple years ago we got close enough to find Roger Brogdon, left, and Larry Morgan checking on their engines. Today, Brogdon has an in-house engine program and Morgan has switched to GM. The block supports a total of nine 70mm to 80mm cam bearings. That means the camshaft core could be 16mm larger than the crankshaft mains. Such a large camshaft is used to reduce torsional twisting under the high spring loads and also provide cam grinder with a large platform for radical ramp profiles and high lifts on the lobe. The higher the lift at the lobe, then smaller ratio rocker arms are required to achieve the massive lifts that are used today. Even though previous trends had been to raise the cam location to help valvetrain geometry and shorten the pushrods, the new block actually has a cam location lower when compared to the DRCE3 block. It’s now fixed at 6.300 inches above the crankshaft. 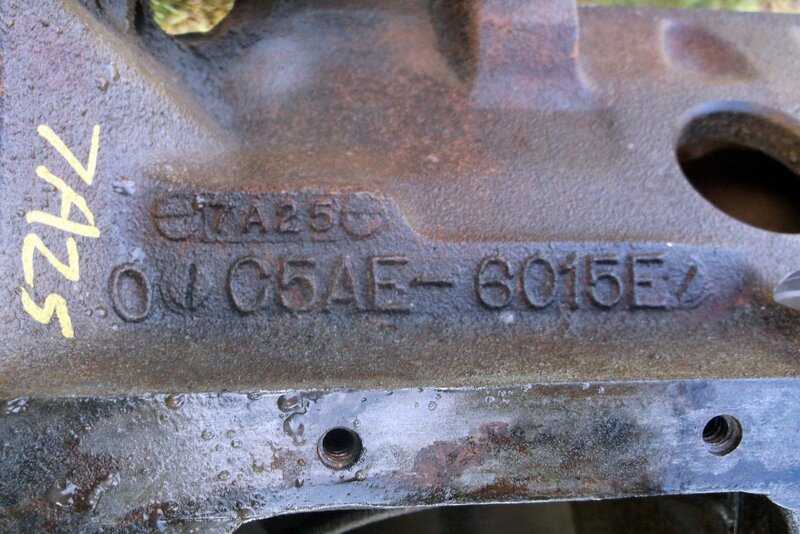 While there is an ample cache of information regarding cylinder blocks and even some of the components found inside, virtually nothing is released about cylinder heads and intake manifolds. These are the Black Ops of Pro Stock drag racing. Development is so secret that teams rarely offer peeks at the top of the engine while in the pits. 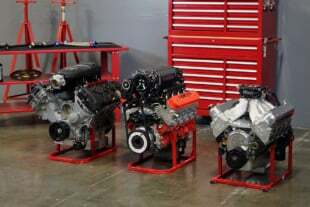 But to close out this story on blocks and deck height, EngineLabs can offer a few bullet points on Pro Stock development that popped up in various conversations with engine builders over the years. These are just random thoughts that may be of interest to Pro Stock fans. Enjoy! NHRA imposes a minimum weight of 90 grams on the intake valve and 80 grams on the exhaust. Typical valves sizes are around 2.600-inch for intake and 1.800-inch for exhaust. NHRA also requires a spec fuel for all cars: For 2015 it was changed to Sunoco SR18. 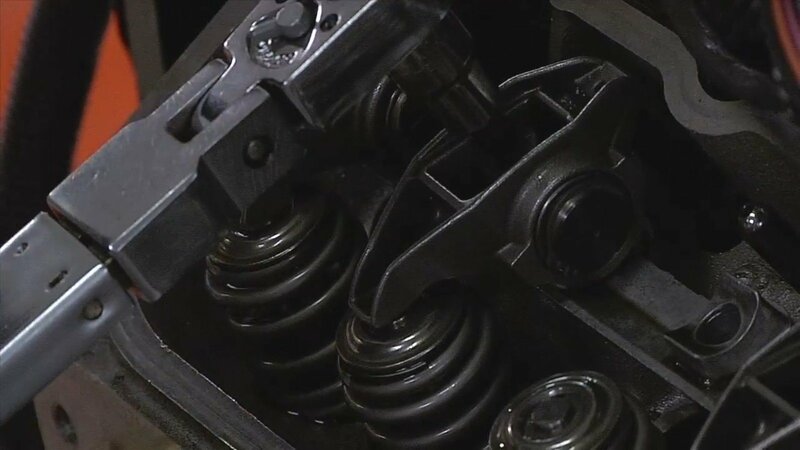 With engine running 11,000+ rpm, teams are constantly changing valve springs. Many racers have suggested NHRA allow pneumatic valve springs, similar to those in Formula 1, to help reduce costs. Another modern feature many Pro Stock teams would like to see implemented is electronic fuel injection. Such a move would cut down on carburetor development costs and open up intake manifold design. Switching to EFI would also make the cars more relevant to today’s production vehicles and reduce the size of the air scoop, which would help increase driver visibility. In its Pro Stock testing, Total Seal says moving from a .043-inch ring pack down to .0325-inch added 13-15 horsepower, and .0325 down to .0276-inch added 8-10 horsepower. The company won’t say/confirm the current ring thickness or the amount of improvement gained from going even thinner. Why is carburetion expensive? Pro Stock engines actually have two sets of carbs: one for the track and one for the dyno. Track carbs are set up to counter the effects of the G-forces when launching off the starting line. Tunes are so different on the carbs that switching them could result in a loss of 30 to 40 horsepower. Also different between the dyno room and track is the timing. The dyno is set up to sweep at 600 rpm per second under load while at the track the engine accelerates about 850 to 880 rpm per second in the back half of the run. With quicker acceleration rate, the timing needs to be advanced more to keep up with the burn rate. Ever notice how Pro Stock drivers release the safety chutes before reaching the finish line? If done correctly, that frees up about 10 pounds for the final few feet, which could be the difference in a dead-heat finish. Remember, in Pro Stock, 10 pounds equates to .01 over the entire run. KB Racing with Greg Anderson and Jason Line have won six NHRA Pro Stock championships in this century and won’t allow even the slightest peek at their equipment in the pits. Everything gets covered. 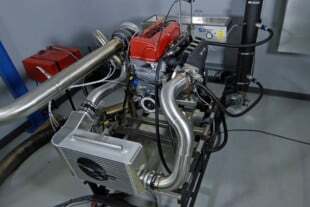 Pro Stock engines will pull 25 or more inches of vacuum out of the crankcase, often using an electric vacuum pump along with the dry-sump pumps. Crew chiefs will cool down the cylinder blocks to about 40 degrees F before moving to the staging lanes. Teams have tried virtually every possible firing order but most come back to the classic 4-7 swap in the firing order; that is, 1-8-7-3-6-5-4-2. Others will also run the new LS order that adds a 2-3 swap; that is, 1-8-7-2-6-5-4-3. While it’s been tried, no one runs a 180-degree crankshaft. And if a team ever gets it to work, we’ll know it by the dramatically different exhaust note. That huge air scoop on the hood feeds to an airbox above the carbs, effectively creating a pressure chamber that helps force air into the intake. Teams have hooked up a magnehelic gauge during testing to measure the pressure differential from standing still to 200 mph. We’ve heard numbers around 22 inches of water, which equates to about .80 psi. Mopar Hemi on the left, Ford Pro Stock block on the right. We’ve focused on the DRCE family for this story. Mopar has the Hemi 99 (PN P4876887) and the Hemi 06 (PN P5153454) blocks that are eligible. With Ford dropping out of drag racing for 2015, no one is racing the Blue Oval, but the eligible blocks are M-6010-A500, M-6010-JC50 and M-6010-JC51. Rocker-arm ratios were reportedly as high as 2.5:1 at some point in the Pro Stock timeline. The introduction of large cam cores that support more lift at the lobe have eased back on the rocker arms to around 1.9:1. Putting it all in perspective, at the end of 1982 when NHRA first mandated the 500ci engines, the late Lee Sheperd had the quickest E.T. at 7.655 seconds, and Warren Johnson had the speed record of 181.28 mph. Today, Erica Enders-Stevens holds both ends of the Pro Stock record at 6.464 seconds and 215.55 mph.